LONG BEACH — Sailboats will take center stage when Progressive Insurance Strictly Sail Long Beach returns to Shoreline Village and Rainbow Harbor, Oct. 24-27. The show, produced by the National Marine Manufacturers Association, will show new and brokerage sailboats in a wide variety of size and price ranges — along with the latest boating gear and accessories. Last year, the show attracted more than 5,000 attendees. 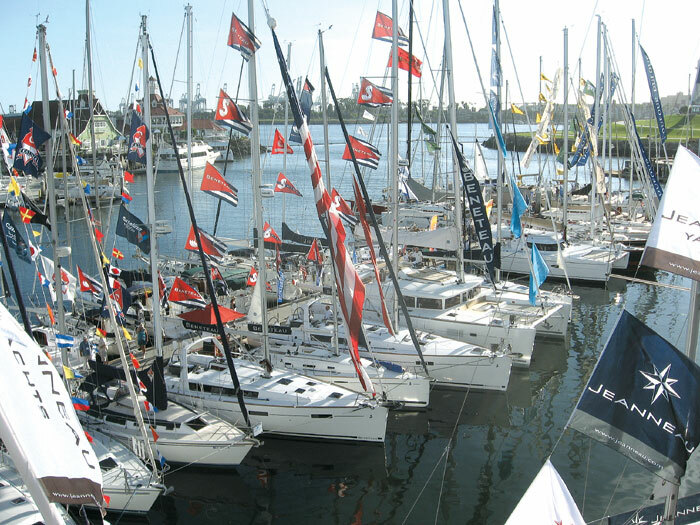 “The four-day event is a one-stop shop and nautical adventure for sailing enthusiasts and families looking to discover the boating lifestyle, said Kevin Murphy, Strictly Sail Long Beach show manager. “Whether you’re a buyer or dreamer, visitors have the chance to shop dozens of sailboats — from million-dollar bluewater cruisers to entry-level dinghies. Attractions at Strictly Sail Long Beach include the Fred’s Shed Interactive Learning Center, a hands-on clinic that offers practical and professional advice on maintaining, repairing and upgrading boats and engines. The show also features Discover Boating Hands-On Skills Training — on-the-water workshops that teach fundamental sailing skills, docking under power, and an introduction to catamarans. Sailing systems expert and author Nigel Calder, and marine weather expert Lee Chesneau will be among the pros teaching seminars at Strictly Sail Long Beach. Show-goers can take advantage of numerous educational clinics and seminars at the show, try out a sailing simulator that recreates the movement of a boat under sail and teaches users to operate a tiller, try their hand (and feet) at stand-up paddleboarding and attend the second annual Cruising Outpost Cruisers’ Party, featuring live music, prizes, pizza and beer. Admission to Strictly Sail Long Beach is $10 for adults; free for youths 15 and younger accompanied by an adult. Admission is free for active duty military personnel with I.D. Tickets can be purchased online or at the box office (cash only). Show hours are noon-7 p.m. Thursday and Friday, 10 a.m.-7 p.m. Saturday and 10 a.m.-6 p.m. Sunday. For more information, call (714) 633-7581 or visit strictlysaillongbeach.com.